Dr. Stephanie R. Ostrowski, an associate professor of public health in the Department of Pathobiology at the College of Veterinary Medicine, was recently inducted into the National Academies of Practice (NAP) as a Distinguished Practitioner & Fellow. Founded in 1981, NAP is a nonprofit organization representing 14 health care professions which advise health care policy makers in the federal government. Membership in the NAP is extended to practitioners who have excelled in their profession, and are dedicated to furthering practice, scholarship and policy in support of interprofessional care. Dr. Ostrowski is the lead faculty coordinator for the DVM and Master’s in Public Health (MPH) combined degree program, which allows veterinary students to pursue an MPH with either the University of Alabama at Birmingham or the University of Minnesota’s via distance-learning while completing their veterinary education. 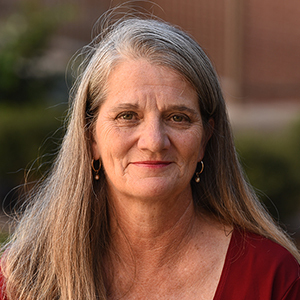 She teaches Food Safety to second-year veterinary students, and with Dr. James Wright, coordinates and teaches two fourth-year rotations in public health as well as the majority of classes required for completion of an undergraduate Public Health Minor. Dr. Ostrowski currently serves on several university-wide initiatives such as the Center for Health Ecology Research, the Health Disparities Cluster Steering Committee, the Inter-Professional Education Implementation Committee, and The Futures Laboratory. She also currently serves on the CVM Bio-Defense Committee, the Clinical Research Review Committee, and the Open House Committee.